Help Bring Bee Free Apiaries To Ethiopia! The practice of beekeeping has intrinsic health benefits through providing a food source of great nutritional value, and furthermore beekeeping requires few inputs and capitalizes on a ready supply of pollen. In rural areas there is almost an unlimited source of pollen, and bees’ aid greatly in the natural cross pollination of local crops. The introduction of a BeeFree apiary in the villages within the Kembata-Tembaro region in Southwest Ethiopia will demonstrate how beekeeping based on the principles of bee health and nutrition, will carry forward the same benefits to the communities involved. Summary: Due to the physical demands of traditional beekeeping in Ethiopia, and women’s household responsibilities, the work is traditionally practiced by men. The products of beekeeping are usually focused on the sale of honey for supplementary income. Introducing modern forms of beekeeping through the creation of therapeutic apiaries will allow for more women to take part in the practice as well as generate a higher yield of product. In addition these new methodologies will improve the health of bees, and thus the flora they service. Beekeepers can then diversify their investment by using a large portion of their harvests for community health issues. Integrating these practices into the community’s agriculture approach will have a much greater affect than merely increasing yields in bee products and crops. If this program is managed effectively pollination will be increased, the community will have direct access to the nutritional and health benefits of honey, pollen, propolis and wax, jobs will be created for women, and the disabled, artisan work will be sourced to local wood and metal workers, and surplus honey and wax can be sold to local markets to generate a cash income for local women and their families. Our goals at Bee Free Apiaries encompass a holistic three phase approach. 1. Youth Engagement- Beginning with a week long education unit taking place in region’s school we engage community youth through our interactive hands on curriculum in the creation of a unique and personalized shadow puppet theater. Daily lessons and activities are paralleled to the lessons of the stories main characters encompassing such themes as collaboration and teamwork. Our overall goal for this phase is for students to become animated and educated about the the benefits of integrating beehives into their community. 2. Apiary Preparation and construction of 25 Community Hives- Community land will be assessed and bee free apiary will be placed in close proximity to plants and trees providing the richest annual forage possible. The area should provide adequate shade by nearby trees and shrubs, and apiary placement will be located at safe distance from regular village livelihoods. I. Construction of closed roof work space for honey harvest and storage equipment built by available local resources and placed in close proximity to apiary. II. Working in collaboration with local artisans, our beehives, tools, and protective clothing are designed and built to fit the community’s needs. After fabrication, beehive pieces are brought to the community for assembly and then painted by community youth. III. Depending on local population of bees, colonies will either be transferred from preexisting traditional beehives, or bought from local beekeepers association. 3. Beekeeper Training and Beneficial Bee Product Use Education. In collaboration with local beekeeping association, basic beekeeping principles are taught to participating community members and are provided with the tools and know-how to become healthy and happy beekeepers. Our goal in the Kembata-Tembora region of Ethiopia is to vitalize women with skills in Beekeeping as a way of addressing general health issues and rural poverty. Health benefits of beehive products will be specifically addressed in affiliation with local health care practitioners in respect to traditional care practices. Once community Apiary is set up and group of village members are educated, its time for nature to do its work. In order to make this project possible in the Kembata-Temboro region of Ethiopia we need your help in fulfilling the necessary resources. Whether it be moral or monetary, all assistance is appreciated! 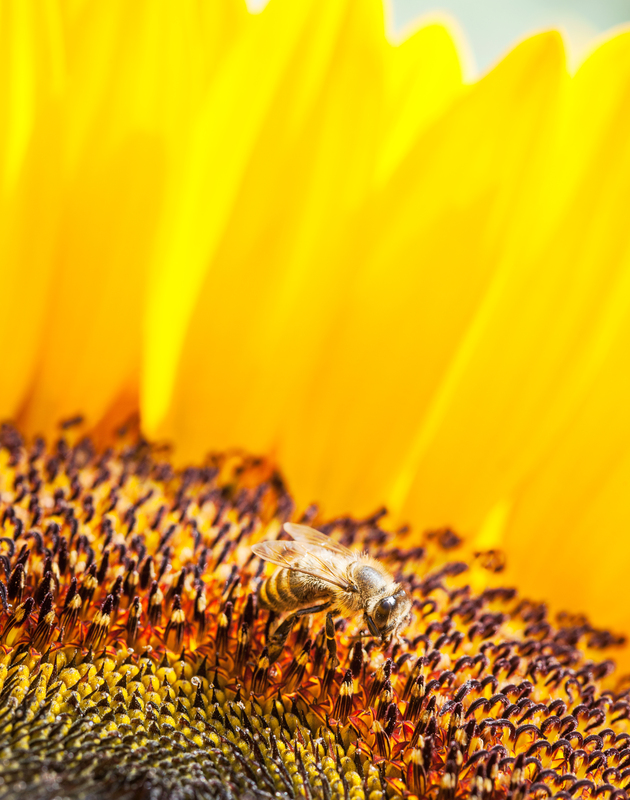 Thanks to the visits made by bees to the flowers around them, our fruits and vegetables are made possible. Roughly 90% of the fresh foods we eat everyday, to give you a better idea. Supplying their hive mates with the necessary protein they need for development, designated pollen collecting bees make countless trips to the flowers around them in pursuit of this golden dust. Once they reach their destination, they mix their saliva with the fine yellow particles and adhere the newly clumped mix to the sticky hairs on their hind legs. This protein rich element also happens to be the reproductive element of the plant. So when the bee brushes its body through the pollen carrying tentacles in order to collect the fine powder, the removal and transfer of pollen send the flowers’ eggs into motion and the flower can begin to put on its fruits. Whether or not the Bee realizes the life giving results of its actions, they gracefully make their way back to the hive where they once again transfer the pollen towards their mouth, mix it with more saliva and back it into pollen specific cells. They then use this pollen do develop their young. As freshly laid eggs turn into larva, designated worker bees are responsible for filling their cells with the proper nutrients they need for development. Before being capped off for their final stage of metamorphosis this protein filled substance is pack tightly into their cell. After 21 days or 24 days within the cell, depending if the bees is female of male, the young bee will have consumed all of the nutrients within the cell before emerging and joining their new bee family. Not only is pollen life giving to the beehive, but it’s moderate and minfull consumption by humans can be life changing. Because of its scientifically proven composition of enzymes and amino acids, making it one of natures most complete foods, bee pollen corrects deficient or unbalanced nutrition, restoring overall vitality. Its complex composition helps to extend longevity, aids recovery from chronic illnesses, helps to add weight in situations of malnutrition, reduces cravings and addictions, regulates the intestines, helps to build new blood, prevents infectious diseases such as colds and the flu due to its antibiotic properties, and also helps to overcome retardation and other development problems in children. Some studies have even shown bee pollen to carry anti-cancer qualities as well as help to protect against radiation. These truly are just a few of the health benefits. 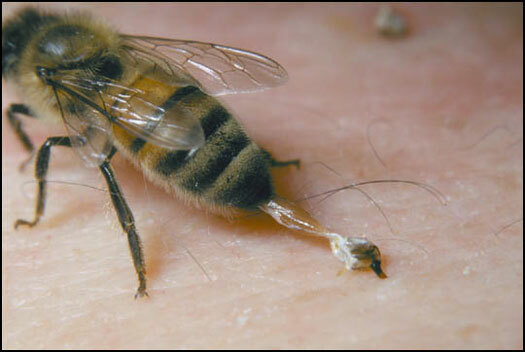 Directly derived from nature by nature before given to us, bee pollen is truly life giving. Anyone, anywhere can be a beekeeper. Bees can be kept in urban backyard gardens, lush open hillsides overlooking the ocean, remote tropical forests, and even seasonally cold inner city roof tops. The race of honeybee changes depending on the local environment and how it needs to behave in order to survive, the style of hive differs according to local knowledge as well as readily available resources for building, and the relationship that the beekeeper has with their bees reflects their overall goal for keeping them. However, what doesn’t change are the benefits that we as individuals and as communities receive through keeping them. They pollinate our crops, carrying the pollen to and from their budding flowers making our fruits and vegetable possible. The consumption of their products provide us with unparalleled nutrition, while the application of their products provide us with readily available and practical medicine. Not only can we stimulate our health through bees presence, but our economy as well. Honey is one of histories oldest commodities, it has maintained it’s value over thousands of years. You don’t need a whole lot to become a beekeeper. More than anything you need motivation. Remember the bees do most of the work! In the third phase of our implementation plan we provide new beekeepers with the confidence to immerse themselves into their new hives. After the basic biology is understood, the hive becomes pretty self explanatory. Bees don’t tend to complicate things, they collaborate with the other 50,000 members of the hive in order to achieve what they need to in order to survive. Once this is understood we can then look at the products of the hive and why and how they are created. We then as beekeepers, implement appropriate collection methods in order to collect the bee products for our personal consumption and application. Propolis, and pollen are both full of nutrient rich properties that are of interest for human consumption. It’s also important for us to understand the agricultural benefits of integrating beehives into our communities. Pollination will increase the flowers and plants we have around us, which means that the local crop yield will increase accordingly as well. For sustainability sake, and also for what some people might consider the most attractive element of beekeeping, its nice to look at the economic benefits of beekeeping. A strong working hive can produce close to 200 pounds or 90 kilos of honey during a strong season. Its important to leave the bees with a fair share, as they need it to survive through winter. If you were to take half of that and multiply it by 10 dollars per pound you get 1000$ dollars. Factor in packing costs and maybe your down to 800$, on just one hive. Not bad right?